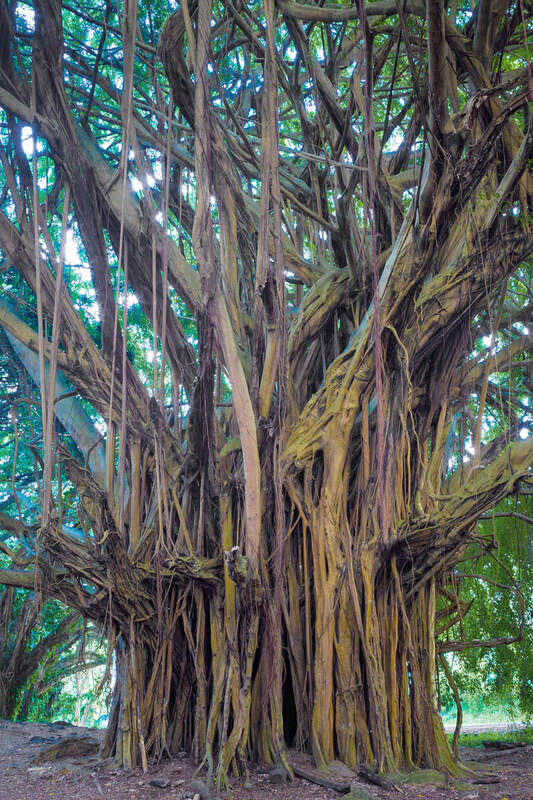 The banyan tree – or Indian Fig Tree (Ficus benghalensis) – is considered sacred in some Asian cultures, and in many countries is associated with eternal life because of its seemingly unending expansion of its branches and aerial roots. Here at Banyan Media, we adopted the banyan tree as our logo not for its association with eternal life, but for how its spreading form can symbolize the spread of knowledge and how its aerial roots can depict stability and maturity as knowledge grows. ​The transfer of knowledge is a theme that is present in all of our activities – whether it be our consulting services or in research, writing or online publishing. We are proud to say that we are working in the 'knowledge industry'.